We’ve gone through some changes recently, and are no longer a marine electronics recruitment agency. We are still addressing the electronics skills shortage in yachting, its just that we’re doing it differently. 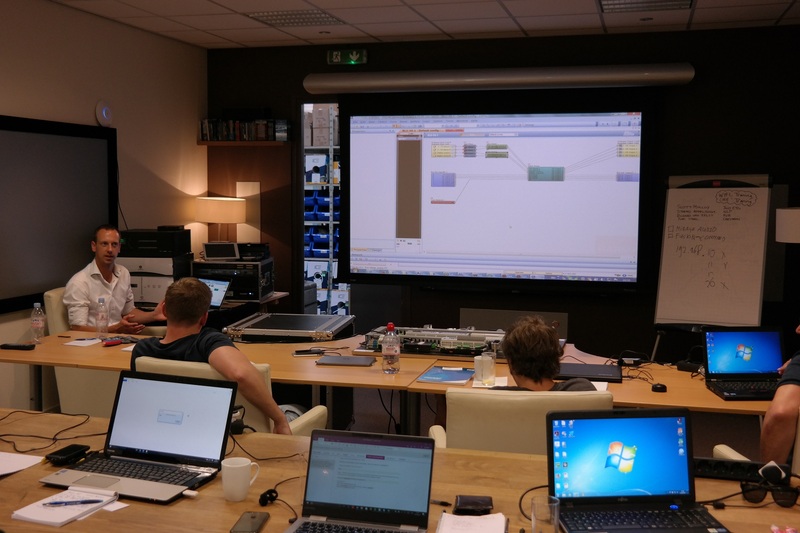 Instead, we’re now focusing entirely on our unique yacht electronics training courses. Our courses are for ANY crew member that might find themselves responsible for the crucial AV/IT or satellite communication systems. Depending on the yacht, this could be the ETO, engineer, electrician or dedicated AV/IT officer. We work to create ideal crew training paths in these core skills. Not only for existing crew, but also those looking for their first yacht position. We do this by designing training that covers the most common theory, tasks, equipment and software. We also include certification and endorsements from the major system manufacturers. Our team also has extensive experience supporting superyachts and their systems. This is invaluable in our mission to design training that is most useful to you. Everything is based on what is actually needed out there on the current yachts. 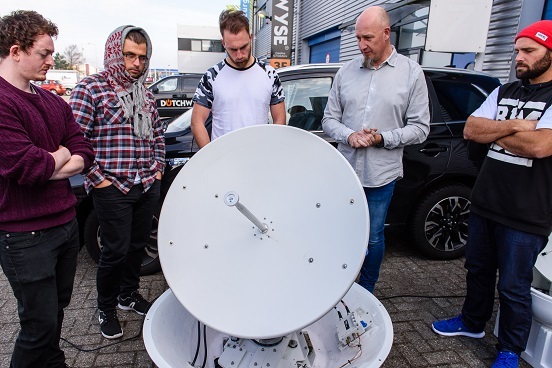 Training crew in the core skills of marine satellite communication and satellite television. 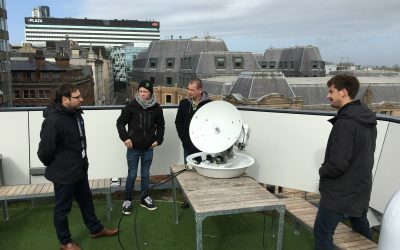 Includes familiarisation with most common yacht VSAT and TVRO hardware such as Intellian and Seatel. Gain confidence in supporting the most common yacht audio-visual and control systems. Includes Crestron Technician certification. 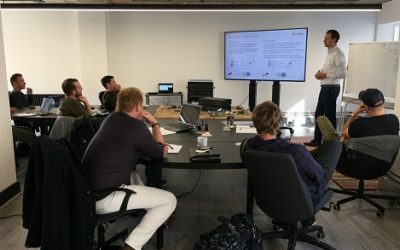 YES – UK Yacht AV training is back! 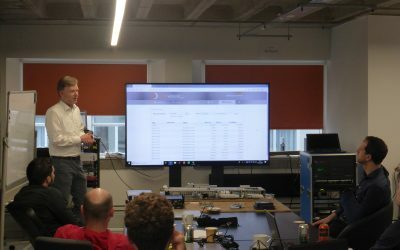 Our 2019 Satellite Systems Training Blasts Off! I enjoyed the course very much, Sjoerd and Brian were very professional. The location of the class and the hotel were optimal, with a good connection to Amsterdam. Most importantly for me, was the overview of the typical technology implemented on yachts. So I now have a good starting point, from which to build up my knowledge further. Also, it was good to have a small group of participants for better interaction. This included discussing common problems with seasoned crew. Recently I attended the Yacht Entertainment Systems course run by JustETOs. This was whilst employed in the Royal Navy. It was part of my resettlement, in anticipation of a career in the yacht industry. I found this a well presented course, with all expectations met. In particular, it gave me an insight into the complex AV systems on-board a yacht. Overall, I now feel more confident in ensuring continuity of on-board services. The course was a good mixture of theory and practical. Also, the lecturers’ knowledge was exceptional. Plus, they were very patient and helpful. The class were asking good questions of real life issues. These were answered in detail, based on the lecturers’ current expertise. Furthermore, the provided lunch and refreshments were very nice. I also enjoyed meeting and conversing with others on the course. Finally, the location of the course, hotel and provided transport worked out very well. I was glad I joined the course and would recommend it to others.